The smart glass manufacturer Epson remains the top weapon in the drone market with its Moverio line from Wearables, and the company continues to expand its offering with its new Drone SoAR app for DJI drones. Made for the Moverio BT-300 Drone Edition, the app allows pilots to see the drone's flight path and control the flight of the machine without having to look down on their controller. Picture of Epson / YouTube  The app works mostly as a head-up display and displays important drone data such as flight status, altitude and battery charge. Pilots can also download maps to the app that they can see during the flight, and the app can warn pilots of flight restrictions based on their GPS location. 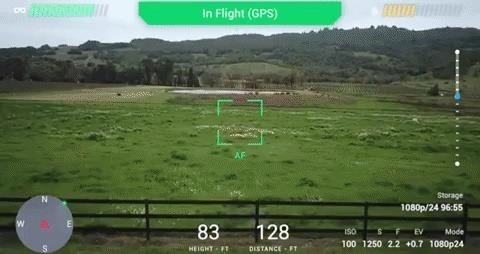 Nevertheless, the Drone SoAR app packs a few augmented reality features that help pilots navigate through the skies, such as: For example, the Find My Drone feature provides the user with directional guidance for aligning the view of the drone's position in the sky. 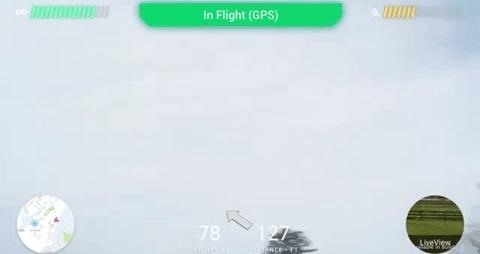 The app can also visualize flight paths as lines in the field of view of the pilot. "At Epson, we focus on expanding the drone market and providing cutting-edge AR technology to him for making consumers more accessible, "said Eric Mizuufuka, Product Manager for Augmented Reality Solutions at Epson America, in a statement. "With this app, training to become a better drone pilot has never been easier." Currently available on the Moverio apps market, the app was developed by YML, the team that previously worked with Epson and DJI on AR Flight Simulator App. "By combining the Augmented Reality technology of the Epson Moverio BT-300 AR Smartglasses and YML's superlative design The heads-up app redefines the way drone enthusiasts experience their aircraft, "said Romsin Oushana, product distributor for DJI Partnerships. "The app is available to the consumer market for the first time, allowing users to expand the drone pilot's boundaries in unprecedented ways." And as far as smart glass niche markets are concerned, Epson has chosen a fair solution for a lucrative purse market as the global drone market, including consumer and corporate segments, is expected to grow to $ 129.3 billion by 2028.